If you had the power to choose, would you grow up? This is the main theme that Shadowplay is centred around. The Humber Theatre presents Third Panel’s Shadowplay: The Peter Pan Variations, a theatrical piece developed by Production and Performance students. Inspired by Peter Pan, this production combines acting, dancing, singing all through the eyes of young children. I read in the program that the play began without a script, something that was apparent as I watched this performance. It felt very disjointed but the actors were mostly able to make it work since they were portraying children, who by nature are flighty, volatile, indecisive and fragile. Through costumes and hair and makeup, each actor really did look like a child, something that generally proves difficult for a group of 20-somethings to do. And most actors nailed the childish voices and mannerisms that used to come second nature to all of us. I liked that each actor was given their chance in the spotlight to speak to their character’s story, providing an interesting way of weaving together several narratives in this non-linear production. Through these narratives the audience learns that some of the children actually like being stranded or abandoned (the audience never really finds out which) and that playing make-believe can be as good as real life. The audience had a good laugh at one child who likes to pretend to eat muffins because eating his feelings makes him feel better. Another recurring theme that was explored was children being forgetful. For instance, one girl couldn’t remember the ending of the Cinderella story, something which bothered her and the rest of the children immensely. 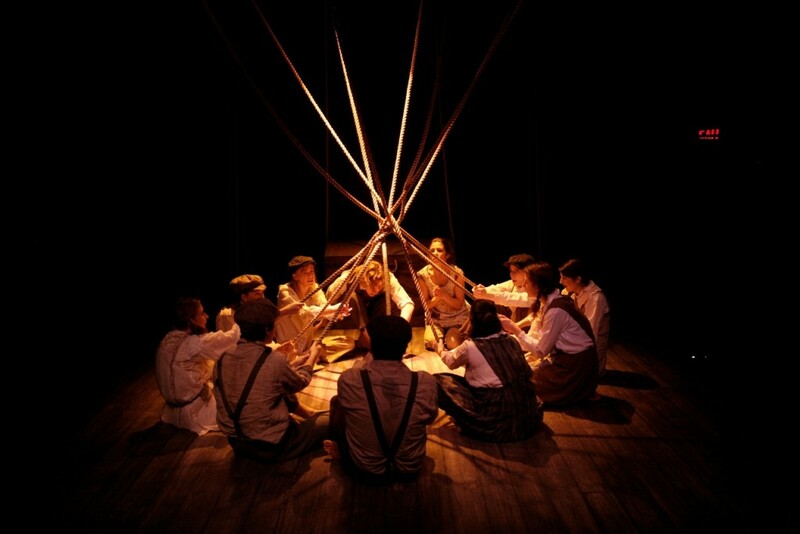 My favourite part about the play was its production value; its use of lights, sounds and in particular, the hanging ropes. The hanging ropes were able to transform the simple stage into a ship, a jungle, a canoe, a tipi and even into makeshift shackles for one of the children when the play took a Lord of the Flies-inspired turn. I also loved how the actors used their voices to create most of the sound effects. They were able to mimic bees, waves and even provide excellent background music. Clocking in at under an hour, this play is the perfect length of time to convey a story to the audience. If you’re looking to get immersed in a linear story with a beginning, middle and end, this isn’t the show for you. However, if you like the random and unexpected, you’ll definitely delight in this little piece of theatre.